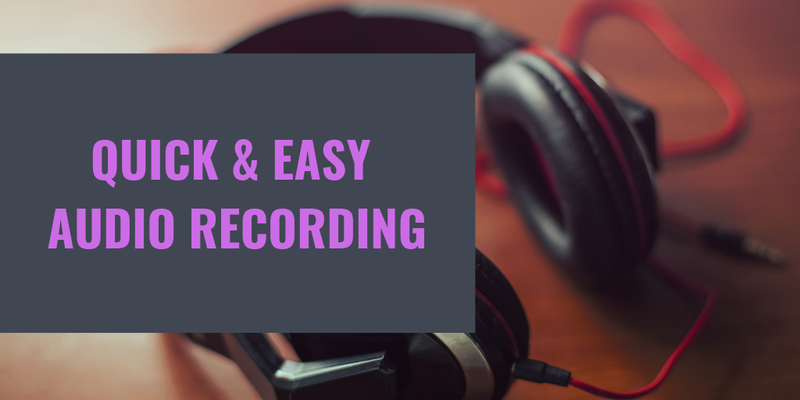 A Quick & Easy Way to Create an Audio Recording – TC Net-Works, Inc.
For the last decade Vocaroo has been my go-to tool whenever I’ve needed to make a short spoken audio recording. That might change now that I’ve started using Online-Voice-Recorder.com from 123Apps. Online-Voice-Recorder.com offers the same simplicity of Vocaroo plus a couple of features that I’ve always wished Vocaroo had. One of those features is the ability to pause a recording in progress and resume it when I want to. The other feature is the option to trim the dead air at the beginning and end of a recording. Watch my video to see those features in action. Online-Voice-Recorder.com could be a great tool for students to use when they need to make a short spoken audio recording to include in a slideshow or video. It could also be useful for making short podcasts. Registration is not required in order to use Online-Voice-Recorder.com which makes it a convenient choice for students who don’t have email addresses or simply don’t want to sign-up for yet another service.